After her Bachelors and Masters in Cognitive Neuroscience, Sabria moved to Vienna to complete her Ph.D. in the same field. She is co-founder and CEO of The Brainstorms, a scientific communication initiative with a strong focus on Neuroscience. The Brainstorms is organizing a large festival around neurotech, as well as teaching academics from every field to communicate their knowledge through a scientific consulting platform, Tower. Alongside her studies and her company, Sabria is a professional public speaker, as well as a consultant for companies, public institutions, and NGOs. She collaborated with artists and conceptualized videos around topics such as mental health or brain plasticity. 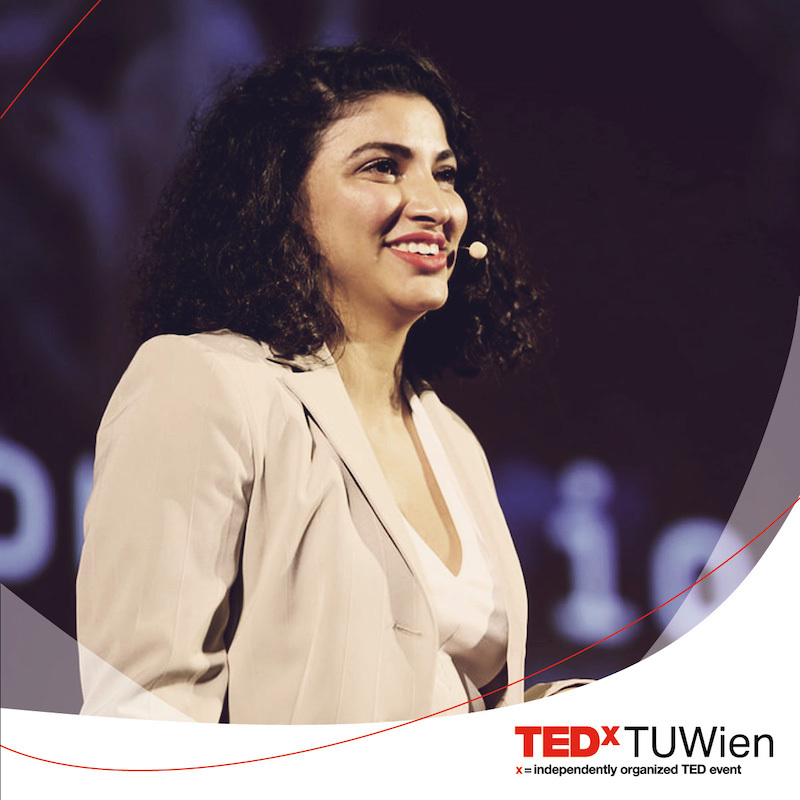 Sabria will be addressing the session “collective intelligence on different levels” at our 2019 TEDxTUWien event “Connected” and gives us specific insight on topics such as the brain ‘orchestra’, brain-computer interface and the importance of human collaboration above all.